The Tropical Forest Foundation (TFF) congratulates the management and staff of PT Bina Balantak Utama (BBU), a member of the Kayu Lapis Group, in achieving FSC certification! The audit firm of SCS Global Services completed the final verification audit in May 2016, and has closed all major CARs. The official announcement is expected imminently pending completion of review and contract formalities. BBU is a 298,710 ha concession centered around Sarmi in Papua Province and is only the second Merbau producing concession to receive the coveted FSC certification. The company became a member of The Borneo Initiative (TBI) certification support program in June 2012 with TFF as its certification coach. TFF has provided training and technical assistance over the years but it wasn’t until mid-2015 that the company started making significant progress towards meeting the FSC standard. 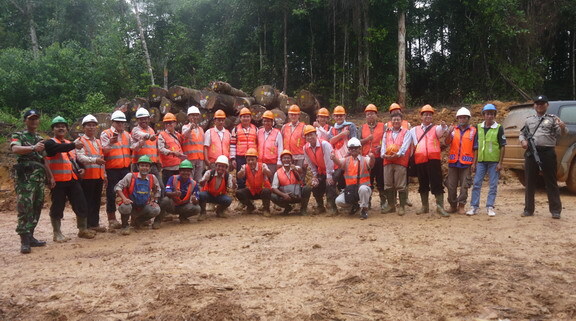 The Tropical Forest Foundation (TFF) congratulates the management and staff of PT Telaga Bakti Persada (TBP), a member of the Kayu Lapis Group, in achieving FSC certification! The audit firm of Rainforest Alliance completed the final verification audit in May 2016, and has closed all major CARs. The official announcement on 13 June 2016. TBP is a 63,405 ha concession in Obi island centered in North Moluocca Province to receive the coveted FSC certification. The company became a member of The Borneo Initiative (TBI) certification support program in June 2012 with TFF as its certification coach. On June 30, 2011, Control Union Certifications awarded the concession of PT. 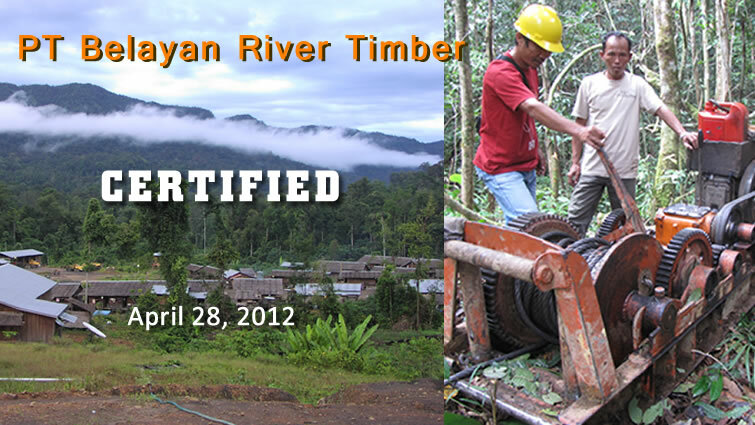 Belayan River Timber with full FSC certification. The company’s innovative use of low impact logging technology was, no doubt, an important factor in reaching this decision. 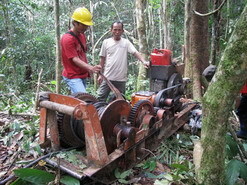 During the initial years of decentralization, chaos prevailed in the Indonesian forestry sector. District and Provincial Governments issued harvesting licenses, frequently in contradiction with permits issued by the central Ministry of Forests. The Government bowed to pressure from the IMF and World Bank to reopen the possibility of log exports. And illegal loggers took advantage of the resulting chaos to expand their activities throughout Indonesia. Now that order has been restored, a potential benefit of those chaotic times has emerged in the form of a technical innovation pioneered by the illegal loggers. The innovation is a simple machine used for pulling logs along the ground through the forest, thus eliminating the need for skid trails from much of the area being logged. Local loggers call this the “monocable”. It is a scaled up version of extraction equipment commonly used on small private European woodlots but it is manufactured in Samarinda from locally available components. More importantly, it offers great promise of achieve a number of objectives central to the goals of Reduced Impact Logging. First of all, it is relatively inexpensive to operate. 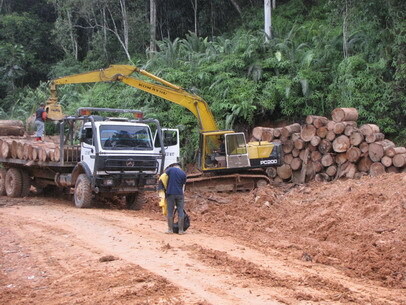 Experience to-date suggests that a felling and skidding costs of Rp.90,000/cu.m . is achievable for a skidding distances totaling up to 200 m. Secondly, since the machine can winch itself into position and then pull logs to the machine from a distance of 100 meters for a maximum of two such set-ups per operating area, the need for skid trails are eliminated from this area thus dramatically reducing site disturbance, erosion risk, and impact to the residual stand. Finally, by contracting out a portion of its annual cutting area (RKT) to community based private enterprises, the concession company has an opportunity to stimulate the development of small business and to offer a meaningful way in which local communities can participate in forest concession management thereby creating the basis for a more constructive relationship with its community neighbors. PT Integra, the new owner of PT Belayan River Timber, is an integrated wood working industry located in Surabaya and specializes in finished and ‘knock down’ furniture, for both indoor and garden applications. 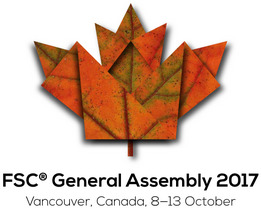 The Intergra ownership has recognized a clearly defined demand for FSC certified Meranti housing components such as scantling, door frames and window frames in the European market. 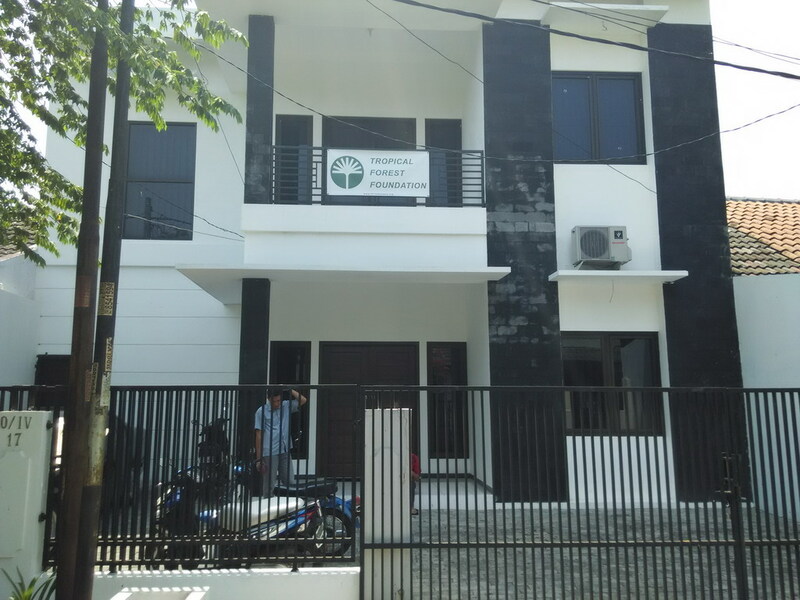 With the acquisition of the Belayan concession and the installation of an FSC dedicated wood processing facility at its Surabaya complex, Integra expects to capitalize on its new investment of providing high quality, FSC certified housing components to the European market. 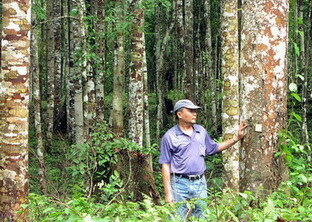 TFF has provided RIL training and technical guidance for certification for Belayan River Timber under The Borneo Initiative certification support program and is pleased to congratulate the management and staff of Belayan for their proactive role in furthering the cause of reduced impact logging and forest certification. 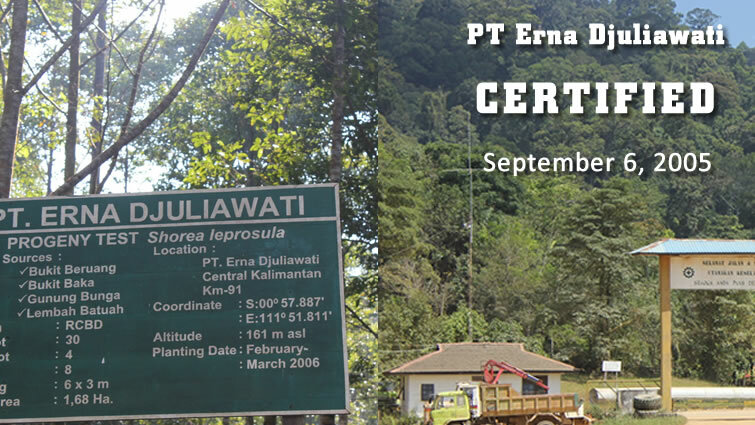 On September 23, 2005, the Rainforest Alliance issued a press release announcing the certification of PT Erna Djuliawati, a 184,206 ha forest concession in Central Kalimantan. With this achievement, PT Erna joined PT Diamond Raya as the second natural forest concession certified under the Forest Stewardship Council (FSC) certification scheme in Indonesia. PT Erna Djuliawati has never looked back since that eventful day in 2005 and has moved ahead from strength to strength. Now in its 9th year of certification, the management and staff of PT Erna are confident and proud of their achievement. The Company PT Erna Djuliawati is a subsidiary of the Lyman Group. PT Erna operates a 184,206 ha concession in Central Kalimantan and a plywood factory near Sanggau, West Kalimantan. Like most Indonesian companies, corporate history has evolved through various mergers and takeovers. In 1999, the company negotiated a new contract with the Ministry of Forests, which issued a 70 year license based on the adoption of the TPTJ silvicultural system 1). Market Orientation The company transports its logs by road to a log pond on the Melawi River, a few kilometers upstream from the town of Nanga Pinoh in West Kalimantan. From here the logs are transported by river to its industry situated on the Kapuas River near the town of Sanggau. PT Erna operates a modern and efficient plywood factory which features 9 peeler lines and a fancy veneer section. Apart from the wide range of plywood sizes, PT Erna has developed a reputation as a manufacturer of high quality container flooring. Its fancy veneer line feeds into a sizeable production of engineered flooring products which are finished off in its subsidiary mill in Tangerang on the Island of Java. Social Context Access to the concession is from West Kalimantan, however, traditionally access has been along the major rivers draining the concession to the East. Indigenous Dayak peoples have long since converted the area along these rivers to shifting cultivation. The concession is home to 14 villages. Almost 4,000 people live within the concession boundary and engage in subsistence agriculture, a land use practice which is fundamentally at odds with the practice of sustainable forest management. Good community relations, is one of the company’s strengths. The company has a full time doctor on staff and provides free medical services as well as transportation to the local communities within the concession. Community awareness of the company’s health care facilities is very high and access and use of these facilities is free to the community. Located on the idyllic “Palau Buru” in the Moluccan Island group of the Indonesian archipelago, PT Gema Hutani Lestari would seem to have little reason to concern itself with the complexities of forest certification, yet a corporate vision backed by perseverance resulted in the FSC certificate of sustainable forest management awarded to the company by the Woodmark Soil Association on November 20, 2013. 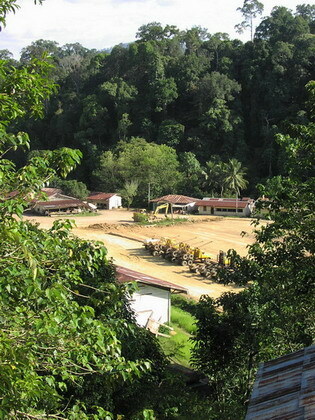 The island of ‘Pulau Buru’ is not a place you would at first glance, associate with logging. The coastal road extends along the northern coast, meandering through sleepy villages, coconut palms and along deserted beaches. 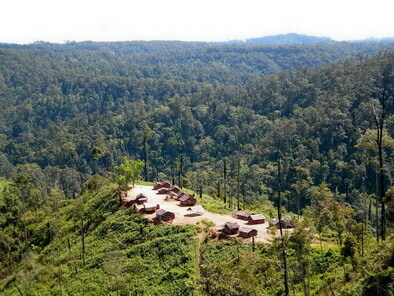 Behind the coastal strip, the landscape is one of rolling hills covered in alang alang grasslands interspersed with patches of low forest set against a backdrop of forest clad mountains. And to the right, always the deep blue sea stretching to the horizon. PT Gema Hutani Lestari The geology is a rugged complex of uplifted sedimentary shists and degraded limestones around a central volcanic heartland. The overlying soils are deep, very fertile, and easily eroded. Pioneer species including Red Jabon and an endemic Red Meranti dominate and give the forest a resilience that ensures rapid recovery after logging disturbance. PT Gema Hutani Lestari, a 148,450 hectare concession straddles the rugged topography of the island with two separate blocks. The blocks are separated by extensive protection forest which includes a crater lake. This is the traditional homeland of an ethnically distinct indigenous population of shifting cultivators which, until very recently, has been living in isolation from the outside world. The GHL concession license was issued in 1999 and extends for 55 years. However, logging over most of the concession occurred as early as 30+ years ago under the license held by PT Gema Sanubari. Little evidence of this early logging is visible as GHL implements the second cutting cycle. TFFs engagement started with a memorandum of understanding (MoU) in early 2005, which defined the scope of a reduced impact logging (RIL) training program. The magnitude of the challenges, were recognized from the beginning. The ruggedness of the terrain and the highly erodible nature of the soils were seen as serious constraints on the possibility of reducing the physical impact. The industrial demand for high quality logs constrained utilization policy. And the remoteness of the location served as a disincentive for the recruitment and retention of adequate qualified staff. Improvements were gradually realized and in July 2010, the company joined The Borneo Initaitive (TBI) certification facility under the technical guidance of TFF. The magnitude of challenges facing the company expanded to include dealing with the complex social issues of clan ownership which, on Pulau Buru , is remarkably similar to that found in Indonesias Papua provinces or in Papua New Guinea. Perseverance finally paid off when on November 20, 2013, the Woodmark Soil Association announce the awarding of an FSC certificate for sustainable forest management had been awarded to GHL. However, the certification has caveats. 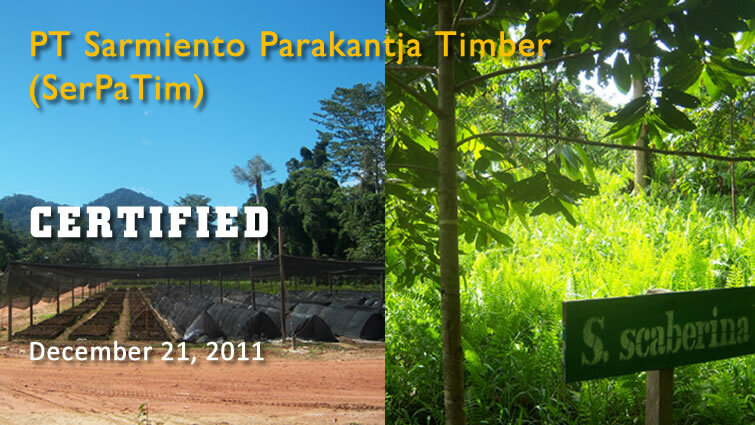 TFF’s engagement with PT Indexim Utama dates back to 2004 and a reduced impact logging research trial. The company has since moved on to achieve FSC certification with TFF guidance. PT Indexim Utama - forest concessionThe Tropical Forest Foundation (TFF) has long asserted that a pragmatic adoption of Reduced Impact Logging (RIL) practices not only reduces the physical impact on the forest in some easy-to-measure ways, but that it can also generate cost savings and/or measurable increases in logging productivity. This second claim does not come without some caveats, but it does hold true for most situations. The problem is how to convince a forest management unit to change to an RIL management system when they have become so used to conducting operations in a certain way, particularly when the potential savings are not always easy to demonstrate. For a handful of converts to RIL, there is no longer any doubt that RIL does, in fact, deliver on its promise of cost savings. PT Indexim Utama is one of these companies that came to believe by doing. It began with a company instigated operational scale trial comparing a conventional approach to logging with a RIL approach. TFF provided the training and technical guidance in collaboration with the company’s close engagement from initial inventory, planning, operational activities right through to the post harvesting evaluation. The cost savings proved significant enough to convince the company to operationalize the RIL approach for its entire concession . 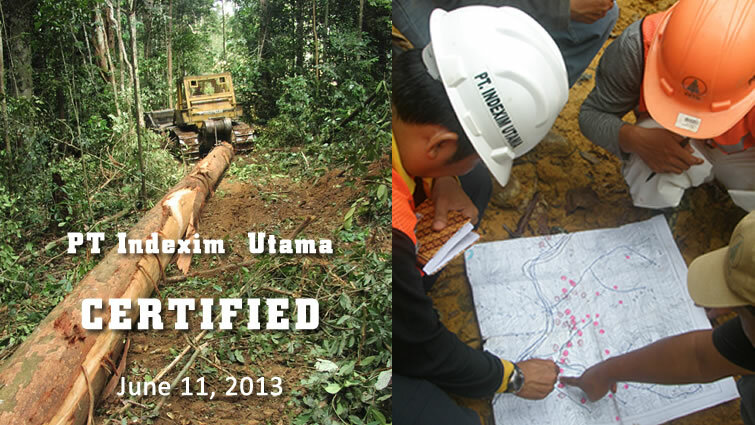 Indexim Utama - forest concession The axiom, “success breeds success”, held true for Indexim. Based on the successful demonstration trial of the RIL system, the company confidently embarked on a more ambitions goal, to achieve forest management certification. Motivation to take on this bigger challenge came from the company’s industry, PT Surya Satria Timur. The industry had already achieved chain-of-custody certification under the FSC system but had no certified wood to process under its certification license. Indexim took the opportunity offered by The Borneo Initiative (TBI) certification support facility by joining TBI in July 2010 with technical sponsorship provided by TFF. The Company PT Indexim Utama is a member of the Surya Satria Timur Group and is the main supplier of logs to the industry by the same name located in the South Kalimantan capital of Banjarmasin. Logs are transported down the Barito River and processed into a variety of panel products in the company’s industry. Indexim is a 52,480 hectare concession located in the moderately hilly terrain of Central Kalimantan near the convergence of the border with East and South Kalimantan. The area is known for its rich biodiversity and the company’s certification helps to ensure its survival as a core area within this ecosystem threatened by advancing conversion to other land uses. On August 16, 2011, Control Union Certifications awarded Narkata with the FSC certificate of sustainable forest management. This achievement was realized a mere thirteen months after the company joined the TBI certification support program. 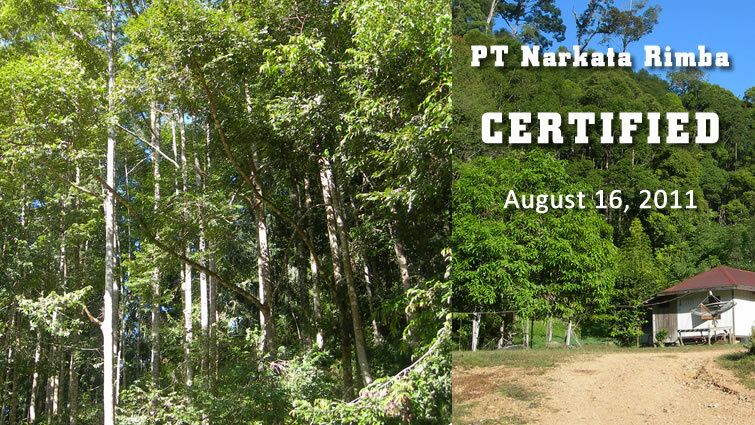 Narkata joined the TBI certification support program on July 28, 2010, with the Tropical Forest Foundation as its Chief Technical Advisor in the certification process. TFF has provided detailed technical analysis of Narkata’s operation as well as a certification action plan that has helped the company navigate its way through the complexities of certification under the Forest Stewardship Council (FSC) standard and protocols. 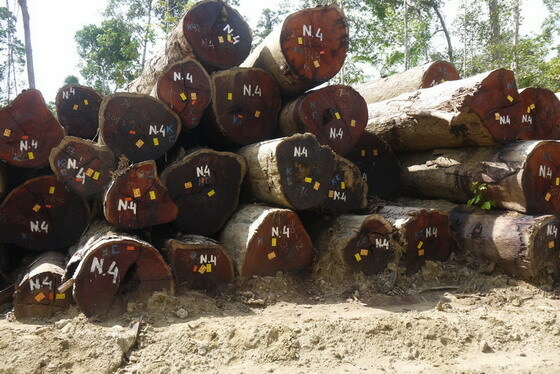 Formerly one of the Alas Kusuma Group of companies, Narkata was acquired by PT Integra in April, 2009 without any prior intention to seek FSC certification. Probably the best explanation for the company’s remarkable progress lies with the strong motivation of its ownership and the professionalism of its technical staff and operations management. PT Integra, the new owner of PT Narkata Rimba, is an integrated wood working industry strongly orientated towards finished and ‘knock down’ furniture, for both indoor and garden applications. However, this industry uses very little wood from the natural forest since most of its raw materials are sourced from forest plantations. However, the Narkata ownership has recognized a clearly defined demand for FSC certified Meranti housing components such as scantling, door frames and window frames in the European market. With the acquisition of the Narkata concession and the installation of an FSC dedicated wood processing facility at its Surabaya complex, Integra expects to capitalize on its new investment of providing high quality, FSC certified housing components to the European market. Certified by Control Union. Certification on April 29, 2012. Located in the geographic center of Borneo, PT Roda Mas and its sister company PT Kemakmuran Berkah Timber are the last upstream timber concessions on Indonesia’s largest river, the Mahakam. 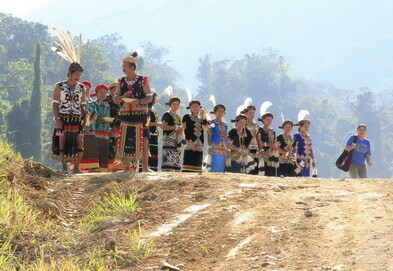 This is also the Dayak country where ancient traditions still feature strongly in day to day life. Reaching the concession from the East Kalimantan town of Melak takes some seven hours by speedboat to Long Bagun. At this busy transfer point, supplies are loaded into long boats for the much more dangerous two hour run up the rapids of the Mahakam gorge to the log pond and base camp of PT Roda Mas. Getting the logs down to the company’s industry in Samarinda is equally fraught with hazard. Logs are secured in small rafts for the perilous run down the rock strewn Mahakam gorge. Near Long Bangun, they are consolidated into much larger rafts for the long float down to the industry. Roda Mas is one of three concessions located along the Mahakam River which provide the majority of the wood supply for the large plywood factory of Tirta Mahakam located near the provincial capital of Samarinda. Tirta Mahakam produces a wide range of panel products but one of its specialties is floor base which is then manufactured into finished engineered flooring products at the company’s secondary industry located in Gresik, East Java. Roda Mas has a long history of involvement with TFF from training and research in reduced impact logging to the establishment of chain-of-custody systems. In January 2010, Roda Mas joined The Borneo Initiative certification support program and with technical assistance and guidance from TFF, the company succeeded achieving full certification in April 2012. The challenges on this long road to international recognition have been significant. 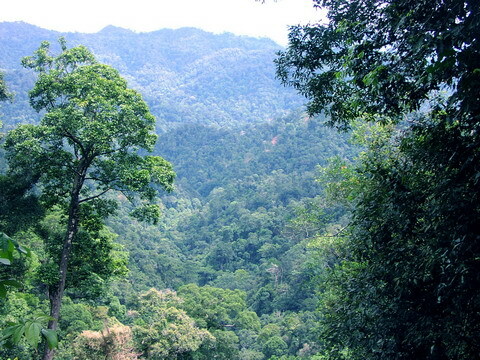 The 69,620 hectare concession is located in three blocks along the upper reaches of the Mahakam River. Terrain conditions are challenging but were not they only barrier to certification. This part of Kalimantan is the heartland of the Dayak people who have occupied this wild but beautiful terrain for centuries. Finding an amicable accommodation with the local communities who practice shifting cultivation along the Mahakam and its tributaries, has played a huge role in the company’s certification success. 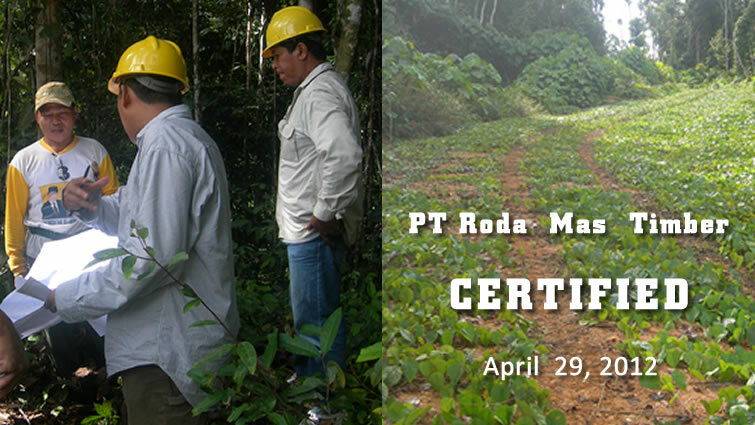 The success of Roda Mas in achieving the prestigious FSC certification for sustainable forest management, is a clear beacon to other concession that certification is achievable despite complex issues, challenging terrain, and pre-existing cultural prerogatives. TFF takes pride in having contributed to this success and maintains a close working relationship with Roda Mas as it continues to improve its management in the heart of Borneo. The much anticipated success of PT Sarmiento Parakanca Timber (SarPaTim) in achieving FSC certification, has been the culmination of a long process of improvements for this ‘flagship’ concession of the Kayu Lapis Indonesia Group, one of Indonesians largest timber companies. Sarpatim is one of a number of concessions managed by the Kayu Lapis Indonesia group. All of Sarpatims log production is shipped to KLI’s industrial complex outside Semarang, Central Java. This complex includes Indonesia’s largest plywood factory, a sawmill, moulding plant, engineered flooring factory, and facilities for the manufacture of a wide range of secondary products from knock-down furniture to fencing products. The Sarpatim concession emerged from the unsettled decentralization efforts of the early 2000’s, badly bruised. A number of major rivers drain the vast concession area and are the access corridors to numerous communities. During the peak of illegal logging activities, they were also the transportation routes of highly organized illegal logging operations. It took determined government efforts and close collaboration with the company to bring under control, and eventually stamp out entirely, the illegal logging activities in and around the concession. Sarpatim is one of the five concessions in Indonesia that are actively participating in the Ministry of Forests initiative to implement a more intensive form of silviculture, commonly referred to as the “Silin System”. This requires the systematic enrichment planting over all of the areas that the company logs in exchange for a reduced diameter limited. Implementation of the Silin system, brought with it additional challenges, as well as opportunities. The clearing of planting lines, plus the high incidence of pioneer species in the second rotation cutting cycle, produced very significant quantities of small diameter wood, particularly from pioneer species such as Jabon. In most Indonesian forest concessions this is considered ‘waste’ and left in the forest. However, Sarpatim has availed itself of the MoF facility to utilize waste as an add-on to its annual production quota. TFFs first engagement with Sarpatim began in 2001 with the implementation of the first stage of an RIL training program. Over the next few years, TFFs engagement increased to include assistance in preparing the company for an independent legality and chain-of-custody audit. This lead, in 2008, to the successful establishment of a chain-of-custody and legality certificate and has brought greater assurances to KLI’s international marketing efforts. TFF’s assistance to Sarpatim during this period also expanded to include the delivery of socio-economic inputs and trainings arranged with funding from the Responsible Asia Forest and Trade (RAFT) program. 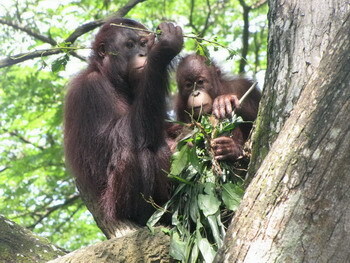 Sarpatim joined The Borneo Initiative certification support program under TFF sponsorship in January 2010 and was awarded the FSC certificate on December 21, 2011 by SmartWood-Rainforest Alliance. Achievement of the Ultimate Goal !!! 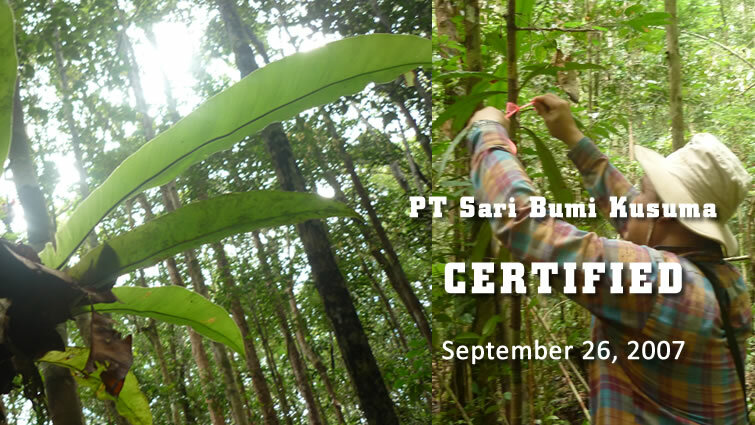 It took more than five years but finally, in September 2007, Rainforest Alliance issued PT Sari Bumi Kusuma with its FSC certificate of sustainable forest management ! To reach the PT Sari Bumi Kusuma (SBK) concession, one must cross the province of West Kalimantan to the small town of Nanga Pinoh. From here the road becomes more torturous as it wanders through the ex-Inhutani III lands which are rapidly being taken over by local settlers. The last stretch of the journey is along the company corridor road across the vast alang alang grasslands which extend almost to the border of Central Kalimantan. SBK-Seruyan is a 147,600 ha frontier concession whose intensively managed forests form a stark contrast to the vast area of adjacent deforestation that is the legacy of a long history of shifting cultivation and repeated fires. Logging in the SBK concession started in 1980 under a 20 year concession license. SBK was quick to establish its leadership role in the Indonesian forestry community by welcoming collaboration with researchers from various forest faculties in Indonesia to carry out a wide range of research and investigations within the concession area. In 1990, SBK began a collaboration with the USAID funded, Natural Resource Management Project which was to last 10 years. One of the more durable outputs of this collaboration, has been the adoption of a reduced impact logging strategy for the entire concession. Initial trials in 1995/96 designed to evaluate the impact and the benefits of RIL, lead to a corporate decision a few years later, to adopt RIL for the entire concession. In 2000, TFF added its support to SBK’s efforts to adopt all aspects of RIL. This stimulus culminated in SBK’s participation in the TFF “Forest-Market Linking” pilot project and the achievement of the “RIL Verified” mark in 2003, and ultimately to the achievement of FSC certification under continued TFF mentorship. In 1998, in response to a Ministry of Forestry initiative, SBK was one of two concessions which agreed to implement the experimental Tebang Pilih Tanam Jalur (TPTJ) silvicultural system and was granted a 70 year licenses as an assurance for security of tenure. 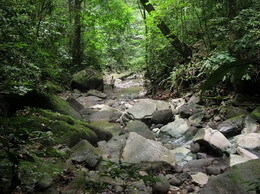 Since then research efforts have intensified, particularly with respect to the intensive management of the planted stock within the natural forest setting. 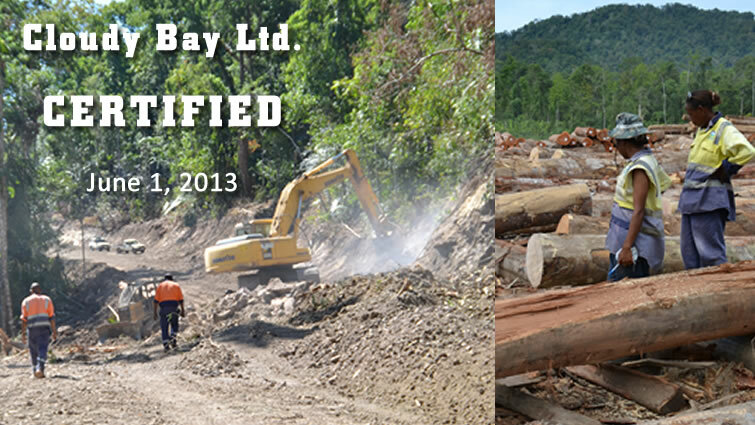 SBK is unquestionably a leader in the implementation of selective logging and enrichment planting. One of the motivating factors in designing this system, was the perception that the effective monitoring of this system should be possible using remote sensing techniques. Another rationale for the systematic strip planting after logging, related to the perception that local communities would be more likely to respect these areas since the act of planting has a strong connotation of ownership. 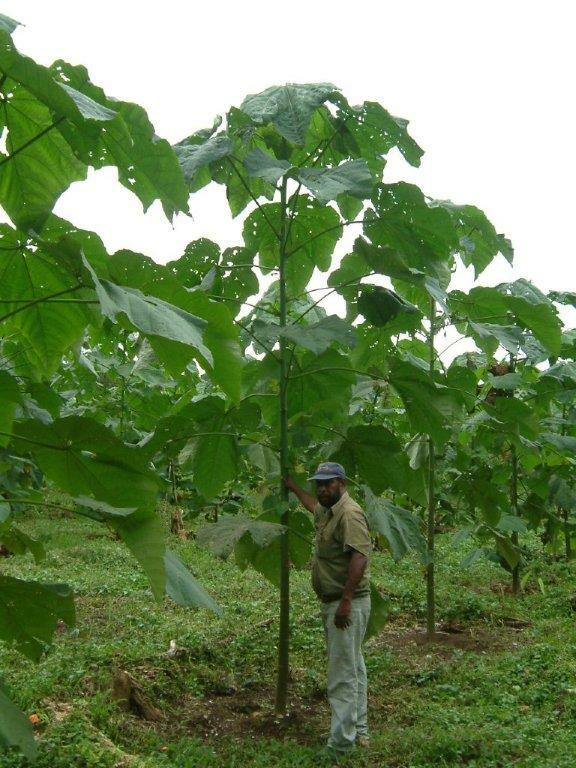 To ensure the best results for its efforts, SBK has been actively seeking to select seed stock from superior quality trees. To date, more than 500 such trees have been selected throughout the concession. The area around these trees is kept free of competing vegetation and is used as a source for the collection of wildlings which are then reared in the nursery to the right size for planting out. It has long been known that different species grow at different rates, SBK working with university researchers have conducted species trials as part of the TPTJ program. Based on these trials, five locally common species have been chosen to be the core species for the TPTJ planting program. SBK operates an integrated industrial complex in Pontianak consisting of a plywood mill, a sawmill and a moulding industry. Pak Hadianto, the marketing manager for solid wood products, admits to “…significant premiums for Bankirai products” as the main market incentive for the use of the FSC label. However, it’s a different story for plywood products which offer little room for premium pricing. 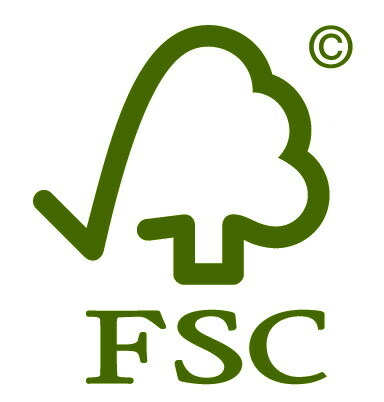 While premiums for plywood in the main market, Japan, are very small to non-existent, it is interesting to note that some of SBK’s Japanese buyers are requesting the FSC label, perhaps an indicator of things to come. On June 30, 2011, Control Union Certifications awarded the concession of PT. Suka Jaya Makmur (SJM) with the coveted certificate of sustainable forest management certification under the global certification scheme of the Forest Stewardship Council (FSC). The story behind this noteworthy achievement provides an outstanding case study of collaboration and determination. SJM, probably more than any other Indonesian forest concession, has received external assistance towards the goal of sustainable forest management. At the same time, it is clear that without the strong motivation of the ownership of this company, combined with a dedicated management and staff, the achievement of certification would not have been possible. As a result of the successful RIL trials in SBK, SJM invited TFF to initiate a series of RIL trainings and operational trials which were implemented in 2003. This lead to the establishment of the first pilot project demonstrating the feasibility of ‘forest-to-market linking’. Under this TFF lead project, SJM demonstrated the market advantage of linking an independent audit of legality and chain-of-custody with the commitment to adopt RIL management practices, and benefited the company through direct access to the North American market and specific retail outlets. 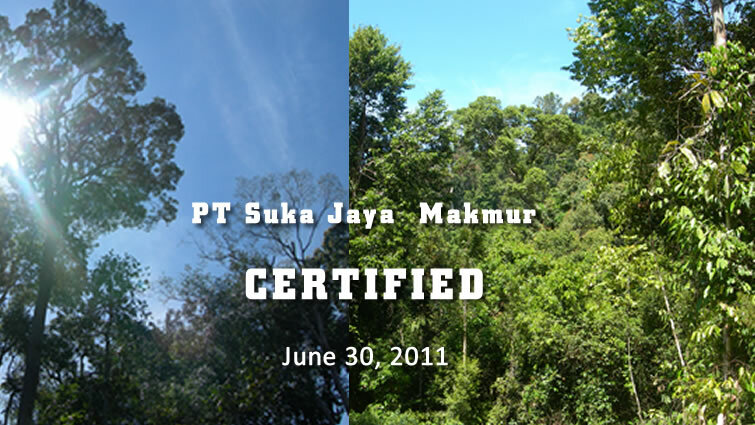 In early 2008, TFF conducted a thorough baseline evaluation of the SJM operation against the FSC certification standard. This was made possible with funding from the WWF and eventually resulted in SJM joining the Global Forest and Trade Network. Further RIL training inputs by TFF followed with funding support from the USAID Responsible Asia Forest & Trade (RAFT) project. PT Suka Jaya MakmurIn May, 2009, TFF was awarded an ITTO grant under the Civil Society-Private Sector Partnership arrangement, to support SJM in moving towards forest certification. With solid external support from ITTO and the RAFT partnership fund, TFFs collaboration with SJM intensified and rapid progress was made in achieving a series of benchmarks on the road to certification. 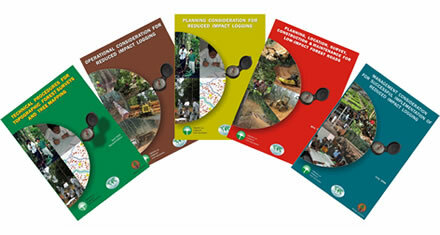 It was also during this period that The Nature Conservancy (TNC) and Flora & Fauna International (FFI), with facilitation through TFF, chose the SJM concession to conduct one of the first operational tests of the newly revised Indonesian toolkit for High Conservation Value Forest (HCVF) assessment. TFF support of SJM continued uninterrupted despite the completion of the ITTO grant. 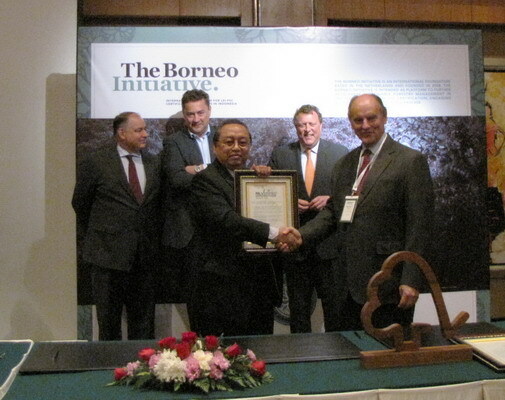 In early 2010, TFF represented SJM to The Borneo Initiative (TBI) certification support platform. Under this program, TFF was able to assist SJM through the final stages of certification leading to the achievement of the FSC recognition on June 30, 2011. During this final year of intense activity leading up to certification, TFF facilitated an engagement with WWF for the purpose of conducting a census of the orangutan population that has been known to exist in the concession since long before SJM began operating in the area. The resulting data, along with the results of the HCVF assessment, was then integrated into a draft conservation management plan under the Orangutan Conservation Services Program, a support facility organized through close cooperation with TFF. SJM is one of six forest management units belonging to the Alas Kusuma Group located in the border region between West and Central Kalimantan. SJMs industry consists of a plywood factory and sawmill located in the West Kalimantan town of Ketapang and is strongly orientated towards the Japanese market. With funding from the NASA Carbon Monitoring System, a consulting group Applied GeoSolutions (AGS) is leading an effort to improve forest monitoring capabilities in Indonesia. The project team, with members from Winrock, the Jet Propulsion Laboratory, the University of New Hampshire, Wageningen University, and the University of Virginia, is working closely with LAPAN, the Indonesian space agency, to collect and analyse LiDAR imagery from across Kalimantan. &nbsp;TFFs role is to collect biomass data in various forest concessions where LiDAR coverage has been acquired. 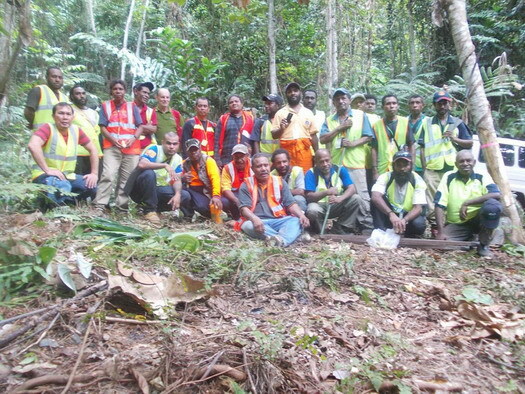 TFF has recently completed all activities under an Australian Government, Department of Agriculture, Fisheries and Forestry (DAFF) grant under the Asia Pacific Forestry Skills and Capacity Building Programme (APFSCBP). Funding had been provided in support of the TFF &ldquo;Forest-Market Linking Program&rdquo; which involves training in RIL as well as baseline assessments for legality and CoC audits. Together with the RAFT project, the grant from the Australian project has greatly assisted in enabling TFF to deliver on all RIL training requests. The Responsible Asia Forestry and Trade (RAFT) program, builds on the successes of the Global Development Alliance, a USAID-sponsored program in Indonesia, and applies lessons learned on a regional scale. 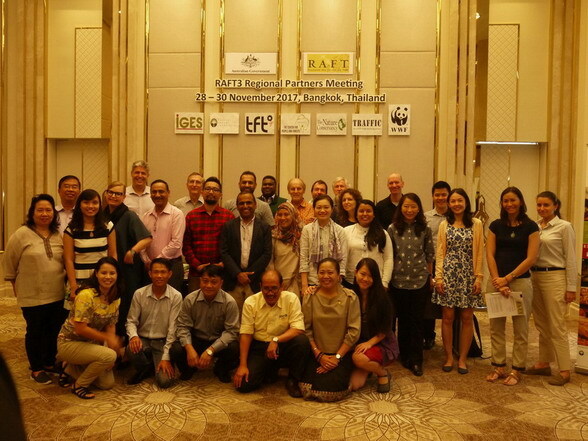 RAFT works with forest producers in Indonesia, Malaysia, Vietnam, Cambodia, Laos, and Papua New Guinea. Additionally, RAFT works in other countries such as China, Japan, Singapore, members of the European Union, and the U.S. to address procurement and investment policies that promote the legal timber trade. The International Tropical Timber Organization (ITTO) has issued an invitation to small and medium private sector forest companies in ITTO member countries, to participate in pilot schemes to test the feasibility of adopting timber tracking systems as a means of strengthening forest law governance and enforcement and promoting the production and trade of timber from legally and sustainably managed forests. 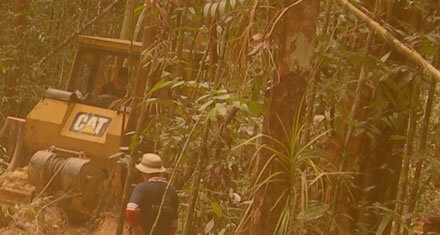 Harvesting Plan Study for Tangguh Expansion Project of British Petrolium in West Papua. Tangguh Expansion Project (TEP) in Bintuni Bay of West Papua is one of the project sites operated by British Petrolium (BP). The project was organized and implemented by a consortium team of Bogor Agricultural University (IPB) as a project leader. 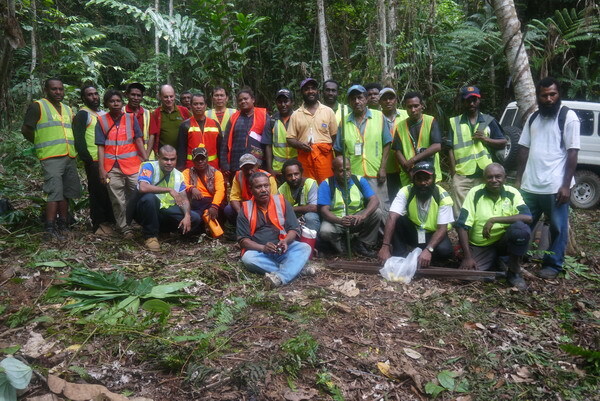 In the project implementation, the IPB team was collaborating with a team of Papua University (UNIPA) responsible for field data collection, and with a team of Tropical Forest Foundation (TFF) responsible for quality assurance of the project and provide technical trainings to the survey teams. The USAID IFACS project is designed to help the government of Indonesia conserve the country&rsquo;s tropical forests, wildlife, and ecosystem services (including generation of clean water, reduction of soil erosion, food security, and carbon sequestration). IFACS seeks to achieve its goals by working with a variety of government, NGO, and private sector partners in eight landscapes across the country in order to promote and train partners in the adoption of best management practices (BMP). TFF joins the IFACS project in the third year of a four year project with the task of training forest concessions in the adoption of BMP as defined by TFFs RIL Standard. TFF will provide training to eleven natural forest concessions and implement this training program over a three year period. With the Forests and Climate Change Programme (FORCLIME), Germany supports Indonesia's efforts to reduce greenhouse gas emissions from the forestry sector, to conserve forest biodiversity, and to implement sustainable forest management. An agreement between FORECLIME and TFF was signed in 2014, to conduct a comparative study of logging as conventionally carried out in Indonesia and a reduced impact logging (RIL) management regime where the principles and practices of reduced impact logging have been applied. The study sought to influence practices in the RIL study area in order to evaluate key metrics such as machine productivity, soil disturbance, utilization of main stem volume, and retention of biomass. Armstrong World Industries, Inc., the world&rsquo;s largest hardwood flooring company, is partnering with the Tropical Forest Foundation (TFF) to promote responsible forest management practices. Armstrong requires its wood suppliers to adhere to all applicable laws and regulations, including those covering raw materials and labor. Less than five percent of the Company&rsquo;s wood purchases come from tropical forests. In those instances, Armstrong requires suppliers to produce documentation verifying their adherence to national and international rules and regulations governing specific tropical wood species. One of the goals of ForClime FC is to encourage sustainable forest management within its project areas by developing management models that can be tested and scaled up. In collaboration with PT Sumalindo who are managing a logging concession in Berau, East Kalimantan under long term license. 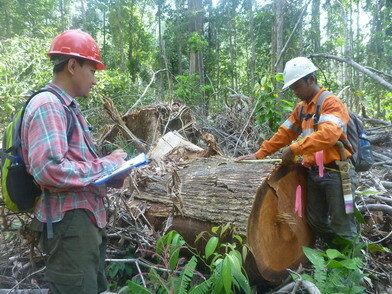 ForClime FC has identified a need to investigate the logging practices of PT Sumalindo Lestari Jaya IV to see if the application of RIL could reduce environmental damage and be more cost effective than conventional logging, thus demonstrating an incentive to implement practices which reduce carbon emissions through better retention of forest biomass. &nbsp;TFF will implement a study to compare logging as conventionally carried out in Indonesia, to a logging regime where the principles and practices of reduced impact logging have been applied. &nbsp;The objective of this study will allow the environmental, ecological and cost aspects to be compared as well as setting the stage for a comparison of the potential for reduction of carbon emissions through improved forest management. A first for the Myanmar Timber Enterprise, was a training in the forestry application of GPS/GIS held at the MTE training center in Nay Pyi Taw during 17-24 January, 2018. The RAFT3 partners reaffirm the relevance and commitment . . .
After many years of actively promoting FSC certification in Indonesia, TFF has finally taken the step of joining the FSC in 2017. TFF is now well into the implementation of a RIL training program under the USAID funded LESTARI project, except this is RIL training with an important difference. 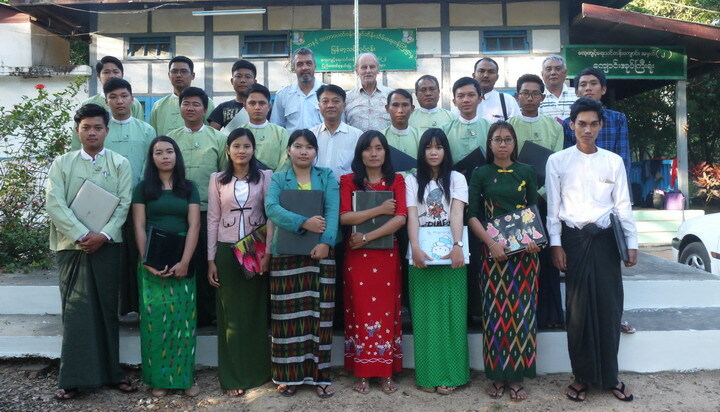 Evaluation of Myanmar’s training capacity and needs completed . 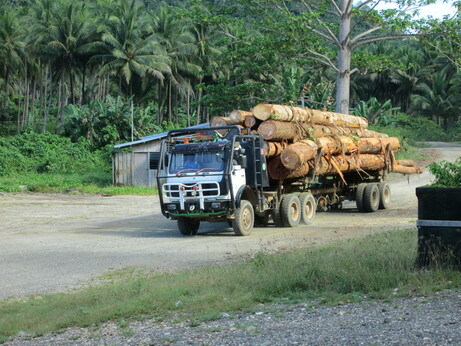 . .
Papua New Guinea’s main policy instrument for regulating management practices in the natural forest concession industry is the ‘Logging Code of Practice’. BBU Becomes the 2nd ‘Merbau’ Concession to achieve FSC . . . 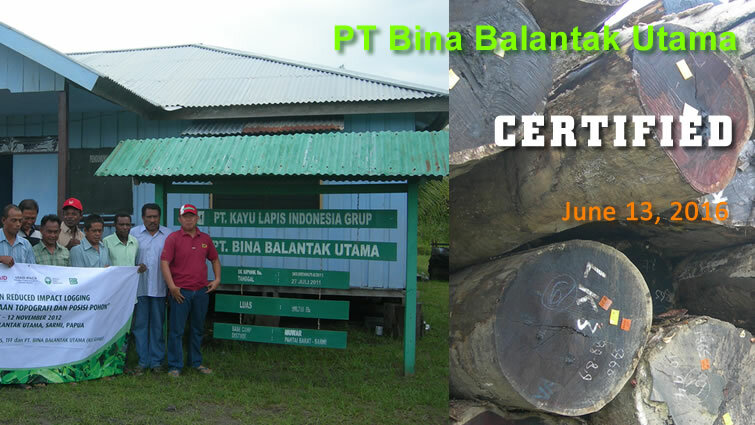 The Tropical Forest Foundation (TFF) congratulates the management and staff of PT Bina Balantak Utama (BBU), a member of the Kayu Lapis Group, in achieving FSC certification! 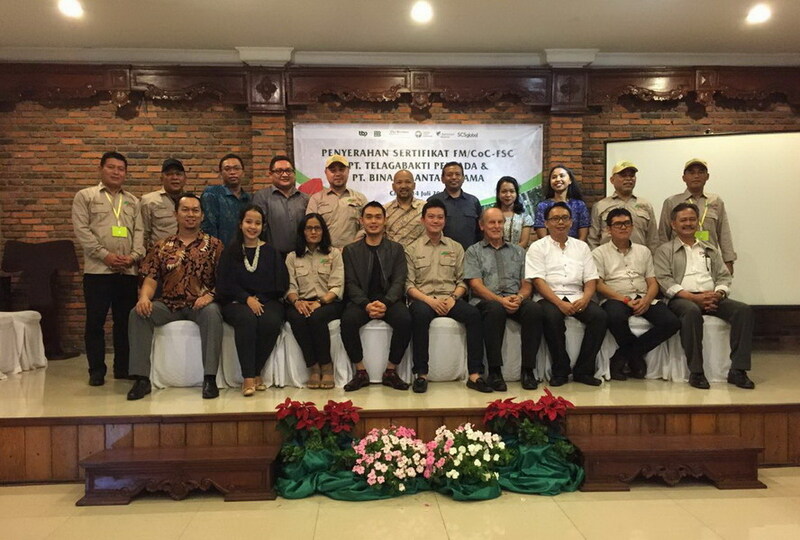 FSC certification in Indonesia takes off !! .... TFF plays a prominent role in this emerging success story.